Revelstoke is ranked No. 23 in North America for its total snowfall during an average season. 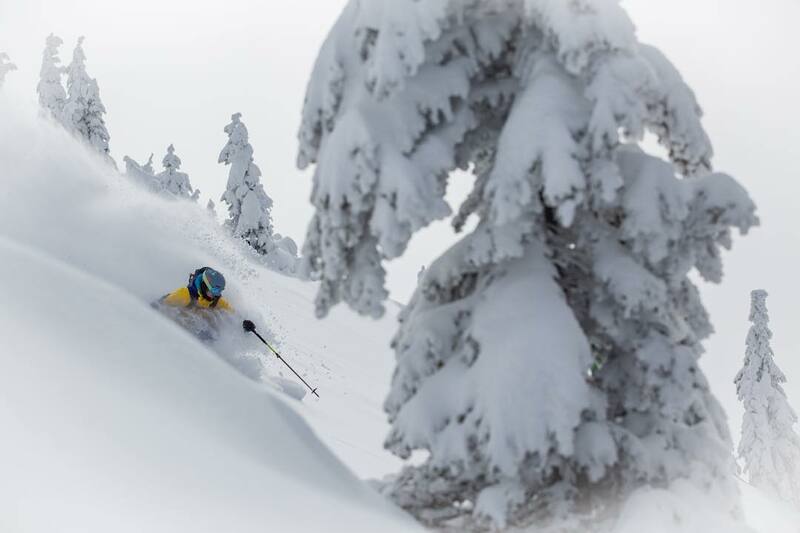 Skiers traveling to Revelstoke are looking for something special. If they wanted a conventional experience, they simply would've taken a ski trip to Colorado or Utah. 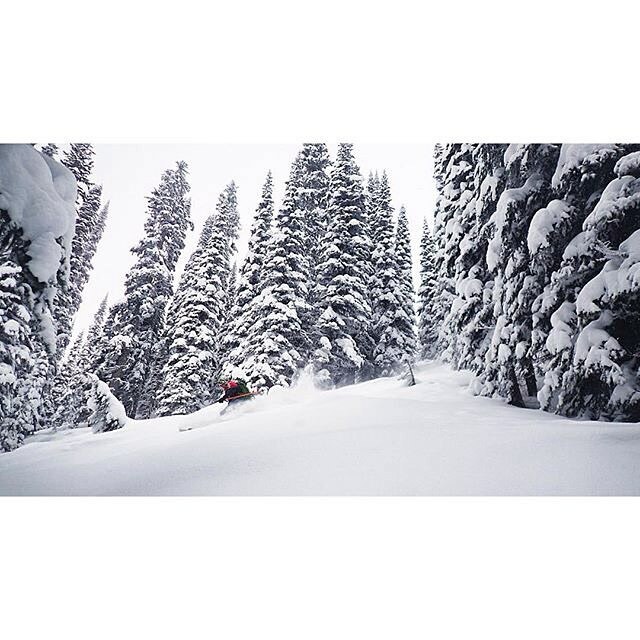 Revelstoke is for seekers. By all means, it's worth your time to seek it out. The mountain offers the largest continuous vertical drop in North America, spilling out toward a massive Columbia River, the same waterway that empties into the Pacific Ocean more than 1,000 miles away in Oregon. Skiers who look for pure fall lines that continue to tumble down and down and down can't find bliss on a run named Pitch Black, which hurtles down the front face of the mountain at an agreeable 35° or so from the top all the way to the base near Revelation Lodge. 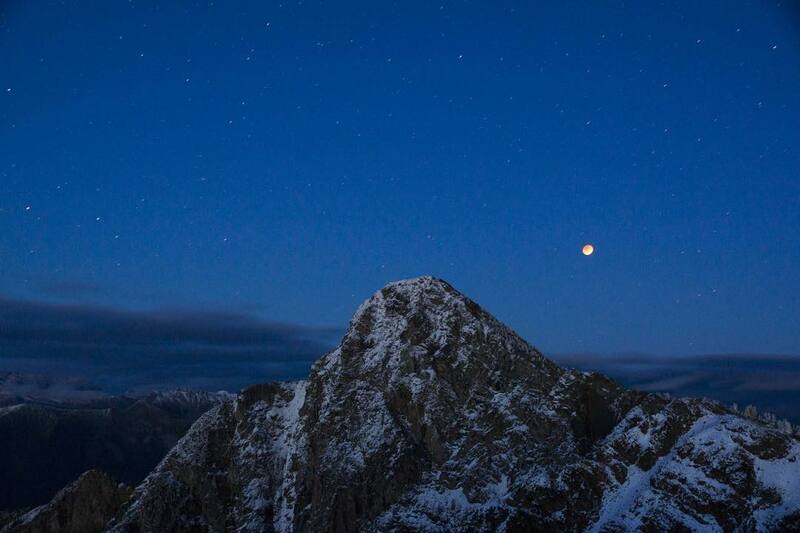 It's a remarkable journey to take on just one mountain. Long runs like this are Revestoke's keystone strength. Skiers looking for steeper shots with superior snow coverage should migrate to South side runs Jalapeno, Hot Sauce and Devil's Club. These expert trails Will dump skiers into long groomers that will get them back to the base of Revelation Lodge. 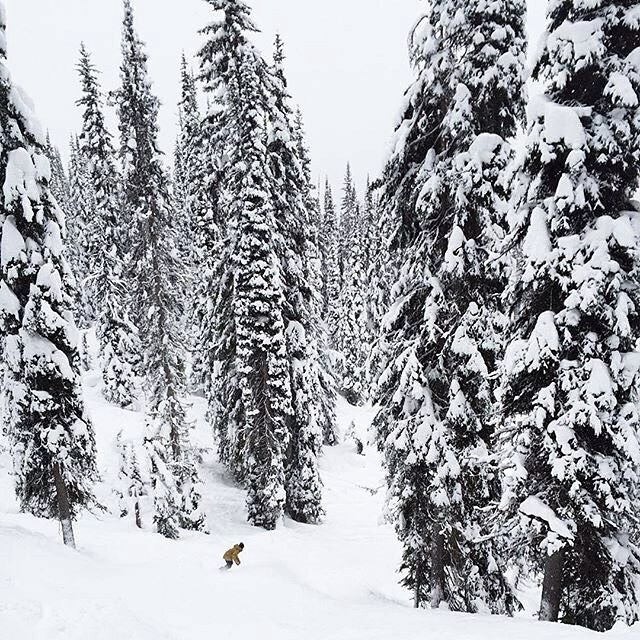 Being in British Columbia means the mountain is dotted with tall stands of conifers, making for elite level glade skiing. Some of the best pockets include the cleverly named Stihl Life Glades, the Critical Path Glades, and the Tasty Glades. In the later season, when the sun can affect the snow pack on the southside, scare should look to the North Bowl, accessible from The Stoke chairlift. 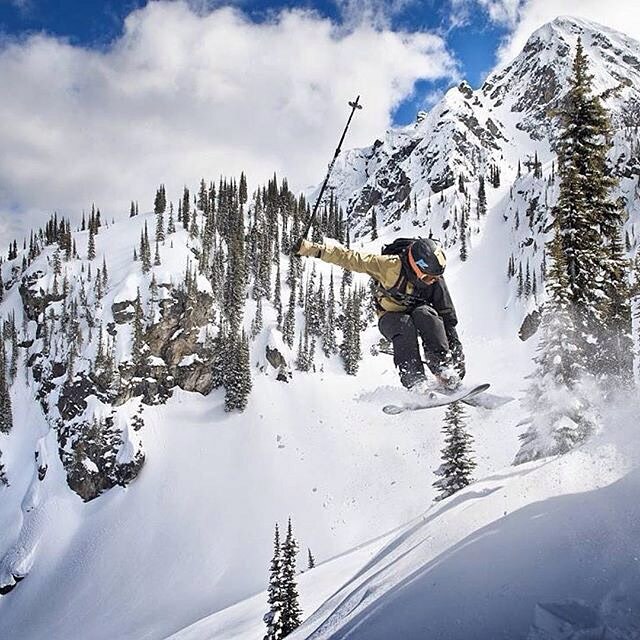 From the top of the bowl, there are a number of steep chutes and narrow, rock-lined runs that will satisfy skiers used to the trials of places like Jackson Hole, Alta and Snowbird. 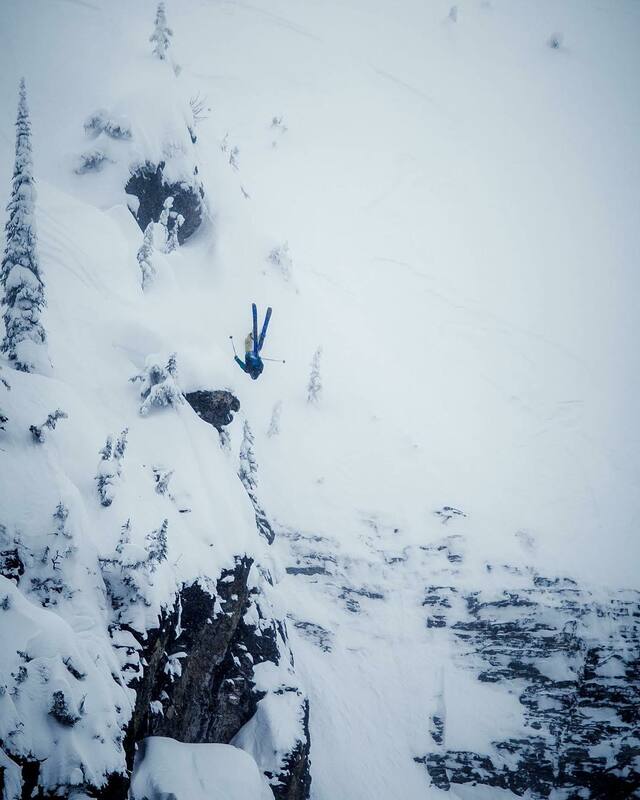 Skiers can go big off of cliffs and through runs like Powder Assault, Unlimited Assets, Discipline and Mania. Coming off these steeper upper sections, skiers can transition into the Snorkel Glades, the Powder Money Glades, keeping their skis in soft stashes all the way down to the base of The Ripper lift. For those who can keep their speed, additional shots and cold tree skiing can be found in the Back 40 Glades, which spill into Big Woody, which requires some speed to avoid having to skate, pole or walk back to The Ripper chair lift. 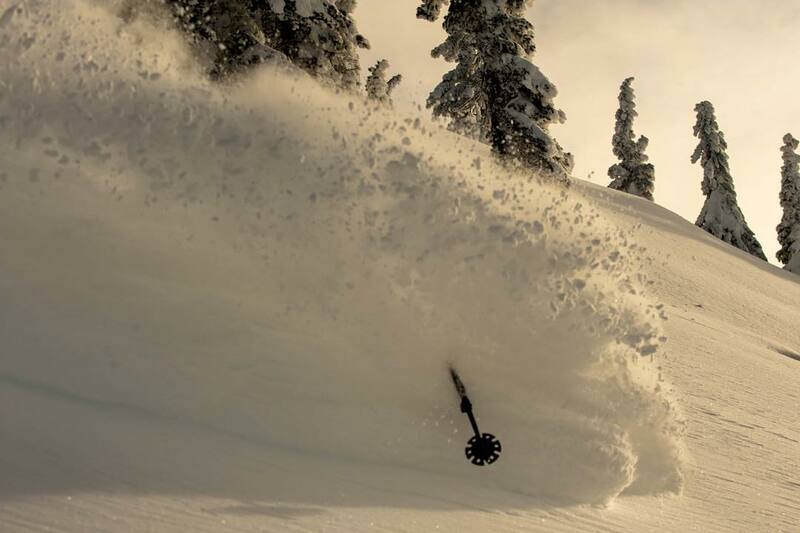 Heliskiing is one of the Core elements of the Revelstoke experience. The ski resort has gone as far as to build helipads next to some of its ski-in, ski-out homes that pepper the mountainside. Inner British Columbia seemed to have been created with heliskiing in mind. If possible, skiers should consider knitting a day of airborne powder seeking into their itineraries. 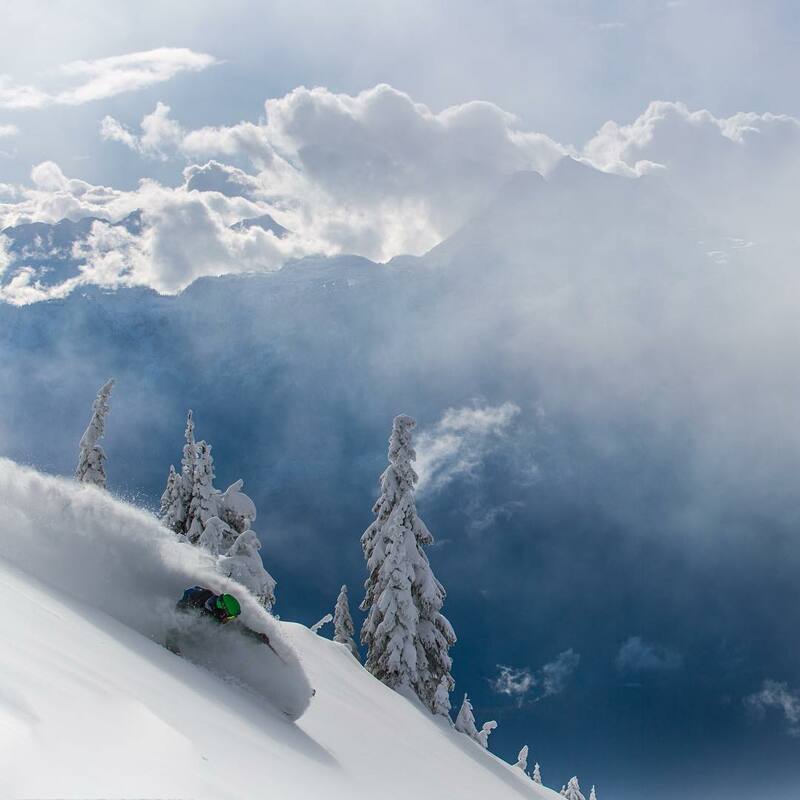 Revelstoke isn't the easiest place to reach, but it's getting easier. 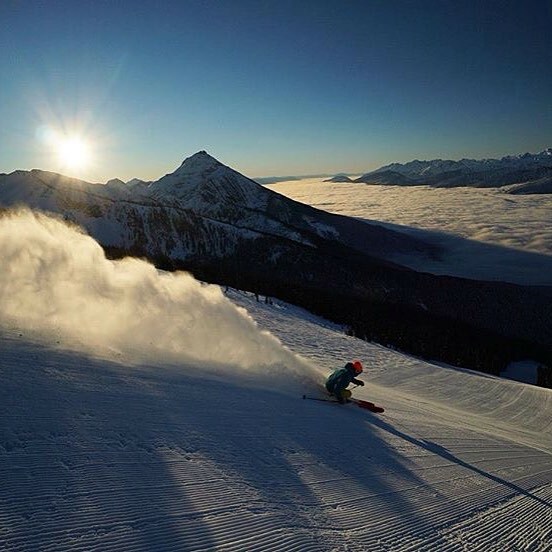 Some travelers may prefer to make a royal ski trip out of it by flying into Calgary and visiting Lake Louise and Banff on the way over the Canadian Rockies to Revelstoke. For those preferring to come straight in, the closest airport is in Kelowna, a 2.5 hours drive. Kelowna has been garnering better air coverage every year. It now boasts service from Vancouver, Seattle, San Francisco, Los Angeles, Las Vegas, Phoenix, Calgary and Toronto. So it makes sense to make a bigger trip out of things when coming to Revelstoke. But the experience is worth it. This is not a conventional ski trip. Know that and embrace it. Revelstoke originally developed as a hub for railroads and logging. Both of those businesses still flourish to some degree in this valley next to the Columbia River. The train hum all night at times, but it's a din of a sound that helps skiers sleep rather than keeping them up. And ski resorts go in North America, Revelstoke is quite new. It has only been operating since 2007. There is nothing on its scale that has been built within the last 30 years in all of North America. Town then is still transitioning from a place where the core economy is borne by revenues from logging, minerals and transnational railroads to one that at its core revolves around in international destination ski resort. But as the town has grown up as one that attracts tourists from across the world its dining and lodging options continue to get better. Great food is now in the offing for Revelstoke skiers. 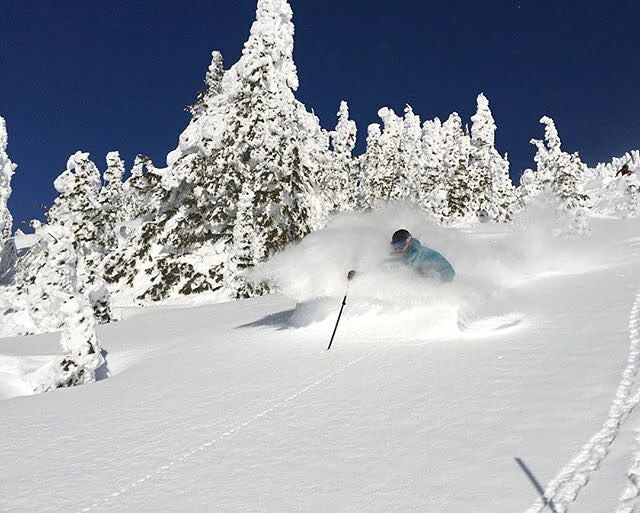 Some of our favorites include Chubby Funsters Kitchen and Cocktails, Woolsey Creek Bistro, and Kawakubo for skiers seeking sushi. Also worth checking out, for skiers who require tacos (yes! ): The Taco Club. For a local haunt that's decorated in a motif befitting a ski holiday, check out The Village Idiot. 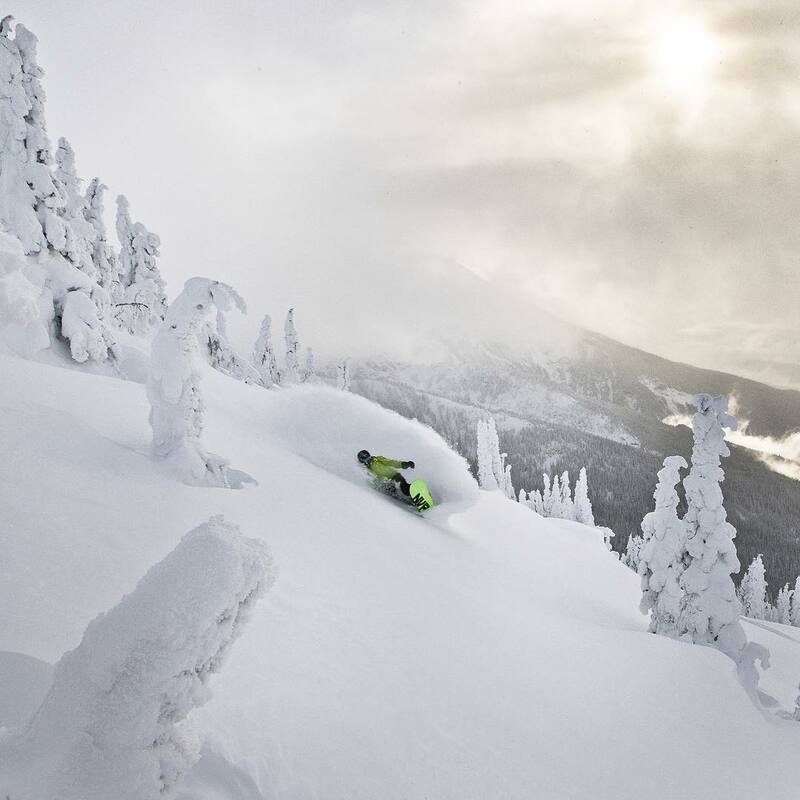 Revelstoke is one of the higher snowfall lift served resorts in Canada. 4% of winter months with less than 30 inches snow is top tier drought resistance. 14.7% of winter days with 6 inches or more of snow and 11% of winter months with 90 inches or more are hallmarks of an area with frequent moderate snowfalls as opposed to erratic larger dumps. Snow quality on upper terrain is excellent. The base area facilities at 1,700-2,600 feet are quite low and can see rain and variable snow. 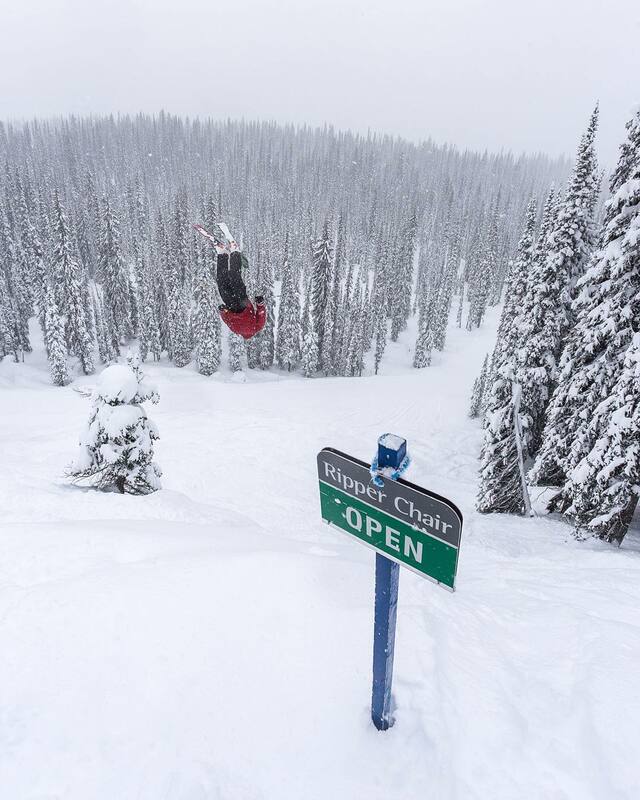 The upper 2,000 vertical at Revelstoke served by the Stoke and Ripper chairs is very reliable for early season coverage. With minimal snowmaking the gondola may be needed for both uploading and downloading. North Bowl and the Ripper chair face north and preserve snow well. But Stoke's terrain faces south and west and the long top-to-bottom runs face west, so melt/freeze conditions are likely in these areas from mid-February onwards if it has not snowed recently.